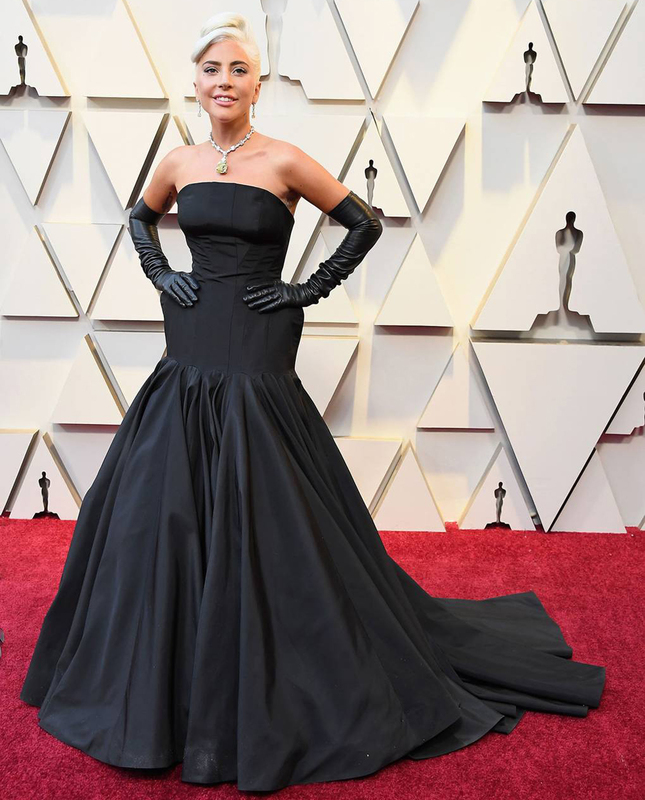 We can't get enough of all the glitz and glamour at the Oscars, which naturally included looks from the region’s fashion titans. Rami Malek became the first Arab man in history to earn Best Actor, and he made sure to honour his background in his powerful acceptance speech. Lady Gaga, who fixed his tie, also made history by becoming the first person to pick up an Oscar, Grammy, BAFTA and Golden Globe in one year. (The Best Original Song winner also gave an excuse for viewers to weep as she sang an emotional and intimate performance of “Shallow” with Bradley Cooper.) 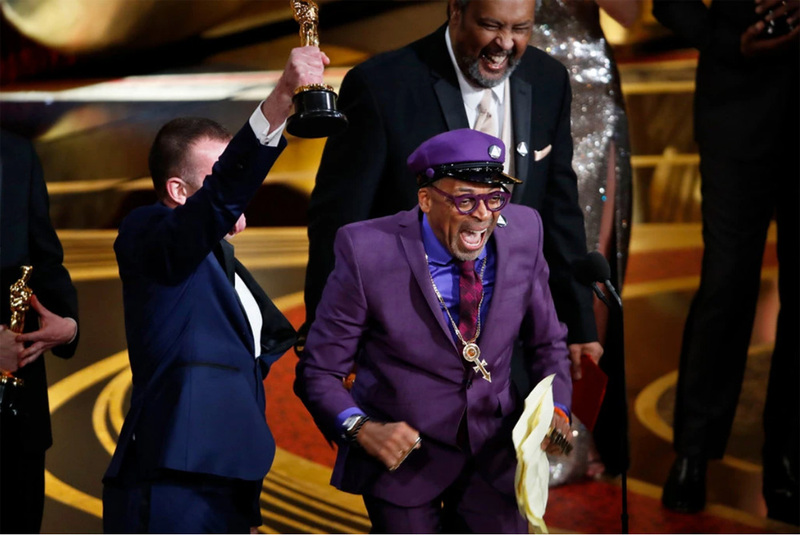 Other standout facts from the 91st Academy Awards on Sunday include “Green Book” springing a surprise win for Best Picture and Olivia Colman's ridiculously endearing speech after her shock win for Best actress. Plus, the ceremony was missing an official host, something that hasn’t happened in 30 years! Then, of course, there was Billy Porter turning up in a custom Christian Siriano tuxedo ball gown. The red carpet outside Los Angeles’s Dolby Theatre also saw Hollywood’s most fashionable leading women break the rules and push boundaries. Lady Gaga channelled Audrey Hepburn in a strapless and sculptural black ball gown that flared at the hip. The 32-year-old Best Actress nominee accessorised with black leather gloves and the dazzling 128.54-carat canary yellow “Tiffany Diamond” necklace. Hepburn wore the piece for a publicity photo shoot and it has only been worn by two other women publicly. Other winning black looks include Russian model Irina Shayk’s backless curve-hugging long-sleeve dress, with gold fringed belt and matching sleeves, and Tessa Thompson’s fitted sleeveless gown. The “Creed II” star’s homage to Karl Lagerfeld was flared out just below the waist and at the very bottom and had gold sequins repeatedly running across it for an elegant flourish. Best Supporting Actress winner Regina King glowed in another classic colour, white. 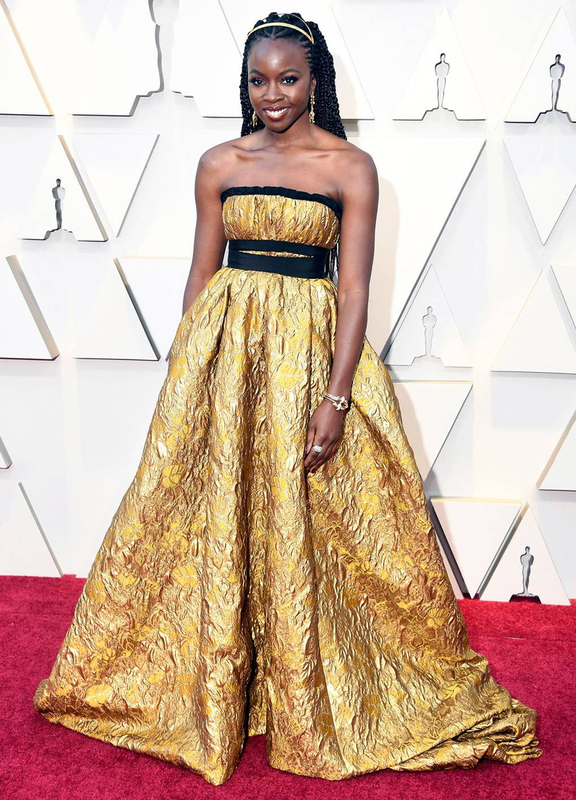 The “If Beale Street Could Talk" star’s strapless gown with sculptural hand draping had an asymmetrical train and thigh-high slit. Amy Adams was also radiant in a white and silver strapless number. Talking of silver, warrior metallics were one of the biggest fashion highlights at the awards. Jennifer Lopez was disco-ready in a long-sleeve gown featuring head-to-toe mosaic mirrored tiles, while “Captain Marvel” star Brie Larson rocked a shimmering silver halter dress too. Molly Sims was another silver siren in a tight-fitting gown with cut-outs and an intricate pattern design by regional darling Zuhair Murad. 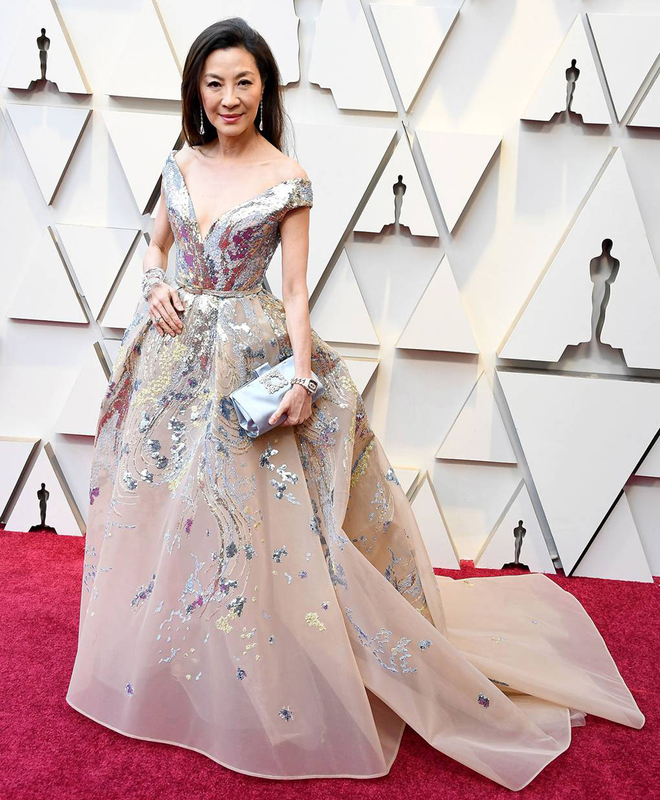 Another fashion force from Lebanon, Elie Saab, was behind Michelle Yeoh’s off-the-shoulder dress with a nipped waist and full skirt. The dreamy creation was embroidered with gold lurex thread and ocean coloured sequins. 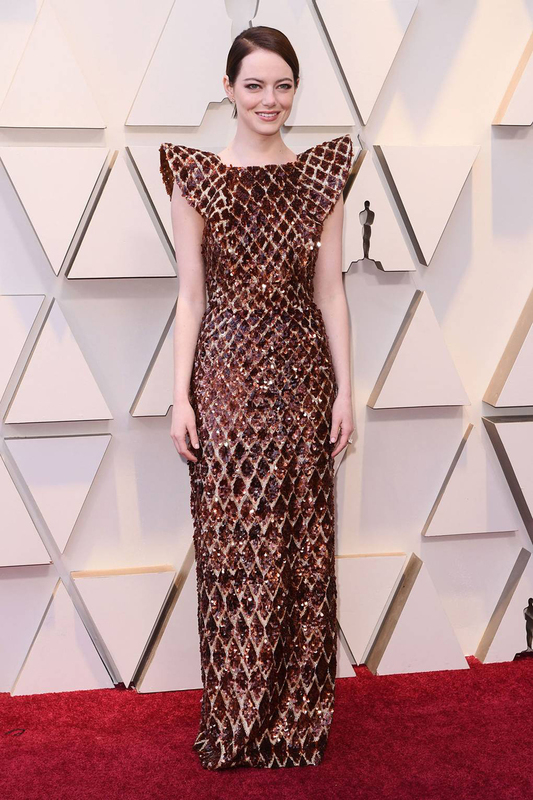 Meanwhile, Danai Gurira was a golden goddess in a strapless textured gown with black detailing, and Emma Stone stood out in her burgundy and gold geometric patterned gown with theatrical sleeves. The gown worn by the “Favorite” star, who was nominated for Best Supporting Actress, had sequins, pearls and beads embroidered all over. Additionally, there was a parade of pink, in a variety of shades, from the best-dressed celebrities during Hollywood’s biggest night. 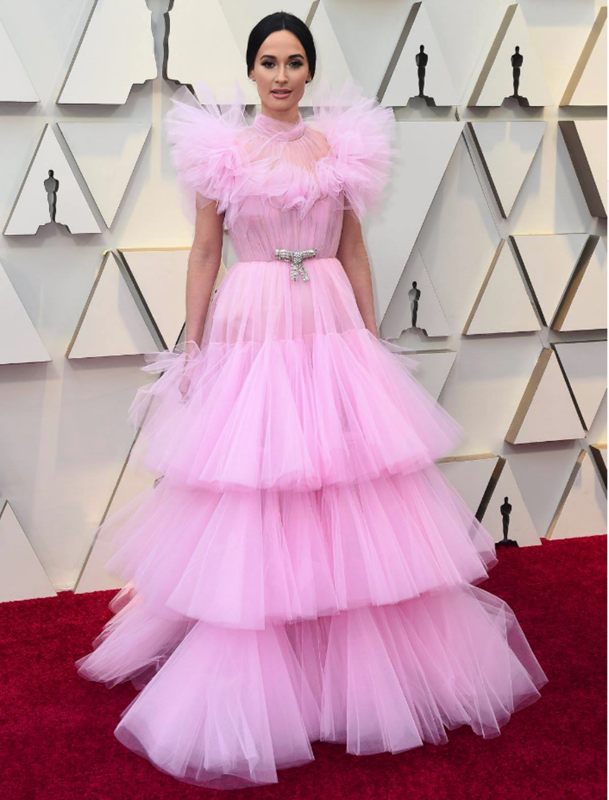 Country singer Kacey Musgraves gave us cotton candy vibes in her voluminous layered tulle dress with a crystal belt at the waist, and Sarah Paulson’s pink pick had cut-outs at the waist. Plus, Julia Roberts wore a one-shoulder draped magenta silk crepe creation by Elie Saab to present the Best Picture award. Another presenter, Angela Bassett, wore a fuchsia gown by Reem Acra, another fashion maestro from the Middle East. The dress had a punchy silhouette, draping on the bodice and a show-stopping shoulder. 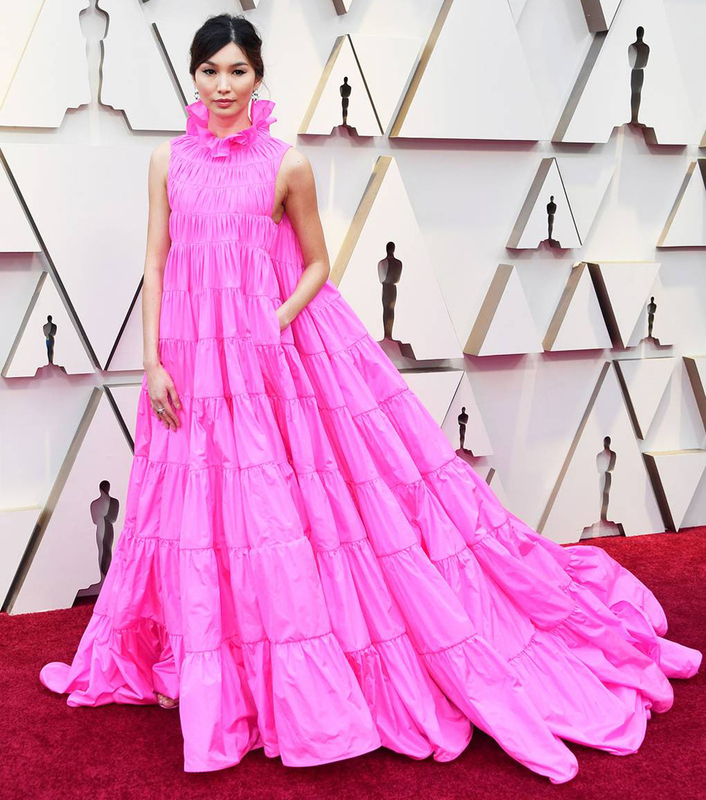 Gemma Chan was also a vision in a high ruffle neck hot pink taffeta gown. The loose and large frock even featured a discreet pocket. Another “Crazy Rich Asians” breakout star, Constance Wu. looked brighter than sunshine in a princess-worthy off-the-shoulder marvel in another colour we loved on the red carpet, yellow. “BlacKkKlansman” actress Laura Harrier’s sustainably sourced pastel blue Cinderella-like crepe silk dress, hand-embroidered with glass beads, Swarovski crystal shards and sequins, was another colour hit. As were Lucy Boynton ‘s purple dress and Yalitzia Aparicio’s gorgeous mint one-shoulder gown. 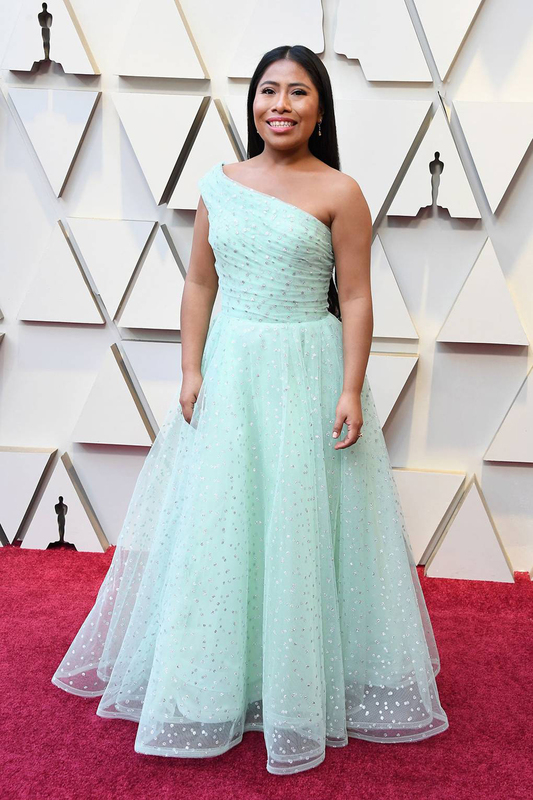 The “Roma” actress is the first-ever indigenous Mexican to be nominated for an Academy Award.